Stuck In The Buckosphere: Space balloon, moving day, & snow by next weekend? Space balloon, moving day, & snow by next weekend? 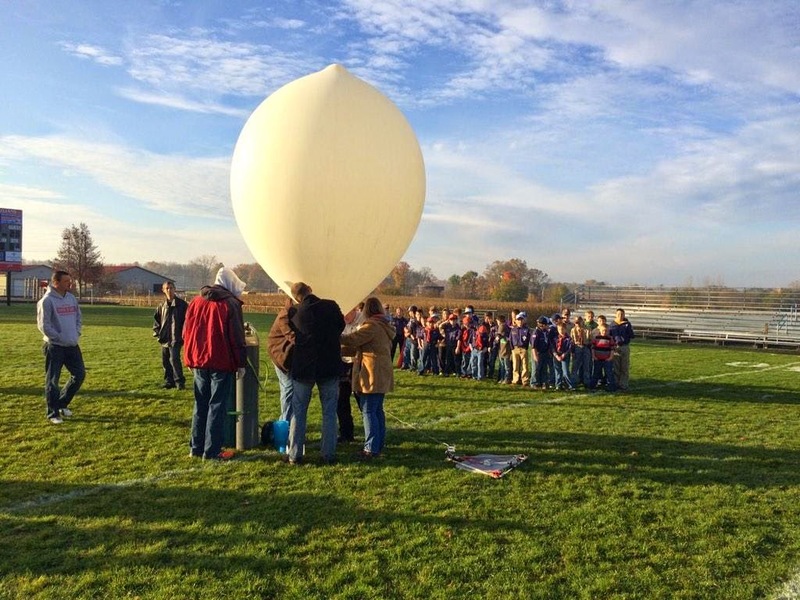 Friday morning I was blessed to be part of a space balloon launch with Pack 382 from Centerburg, Ohio. We launched around 9AM and the entire elementary was there to countdown. The balloon popped and landed back near Millersport, to the east. On board, there were three GoPro cameras, a GPS tracker, and a flight commander that recorded weather readings. Above is a snap-shot as the balloon was released. 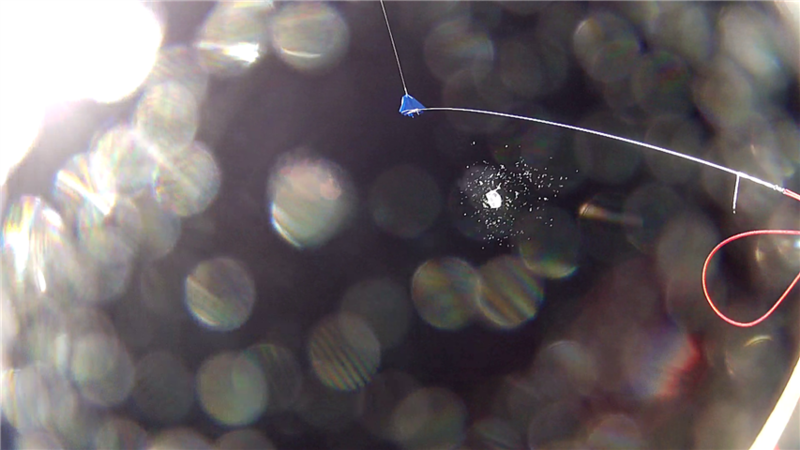 And this is a snapshot from the video from space! 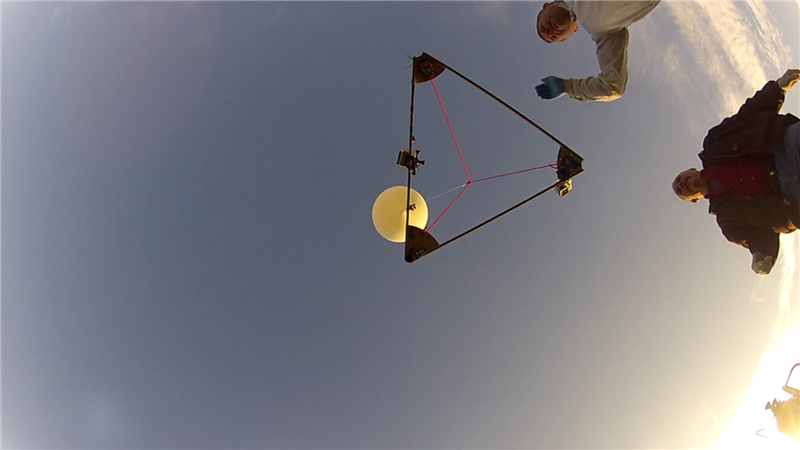 The balloon popped at 107,000 feet... Goodbye balloon, hello parachute! 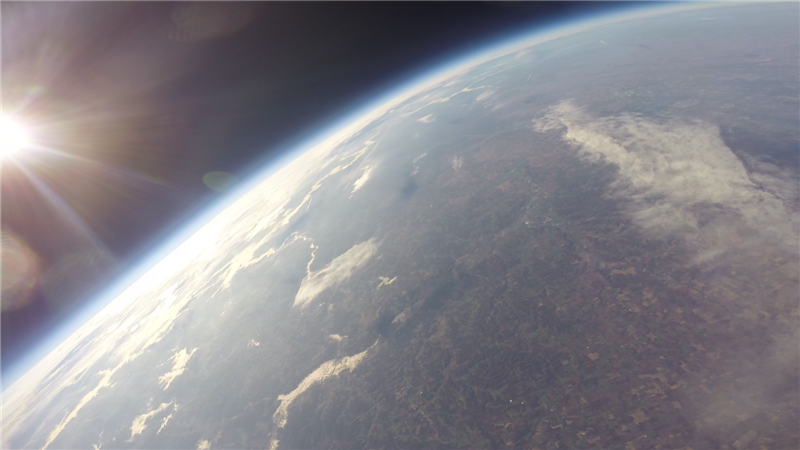 I am doing a follow up news story on Monday to show the video from space and the fun story of the scouts' second launch. They will be editing the video and posting the space flight late tomorrow or Monday. Today was moving day for my wife and me. 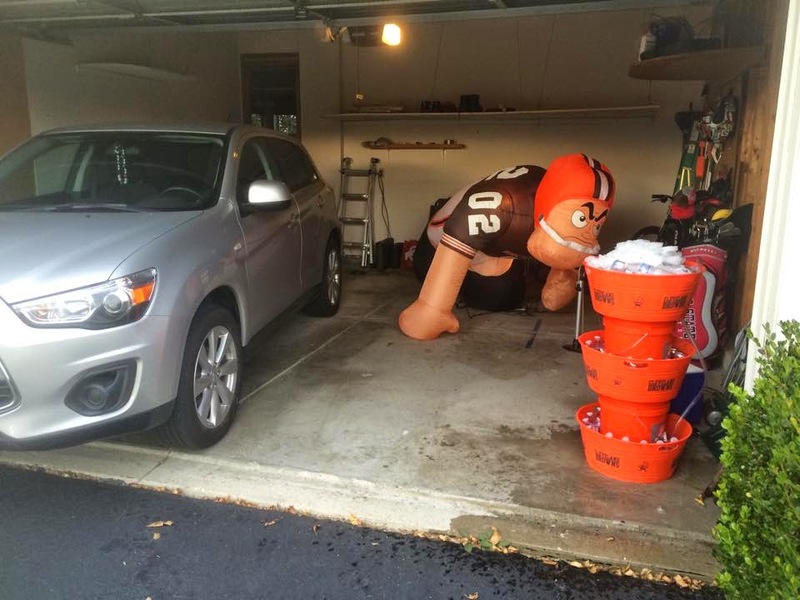 I went over to the house this morning to set up the inflatable Browns linebacker and set up the beer/water fountain. I got the idea a few years ago. Basically have three tubs of ice water, LOTS of ice, and a pump to circulate the water up to the top and it overflows down to the lower levels. Since the water is circulating, the drinks will stay VERY VERY cold... but you have to keep feeding it tons and tons and tons of ice because the running water melts the ice. Despite having a handful of friends who love beer... after all that lifting the bottled water was what went the fastest. We managed to fill the Uhaul completely and we still have to go back tomorrow for the grill and other smaller things. It is nice to have the ability to come and go since the move is only about 13 miles. Can't wait to sleep at the new house tonight. 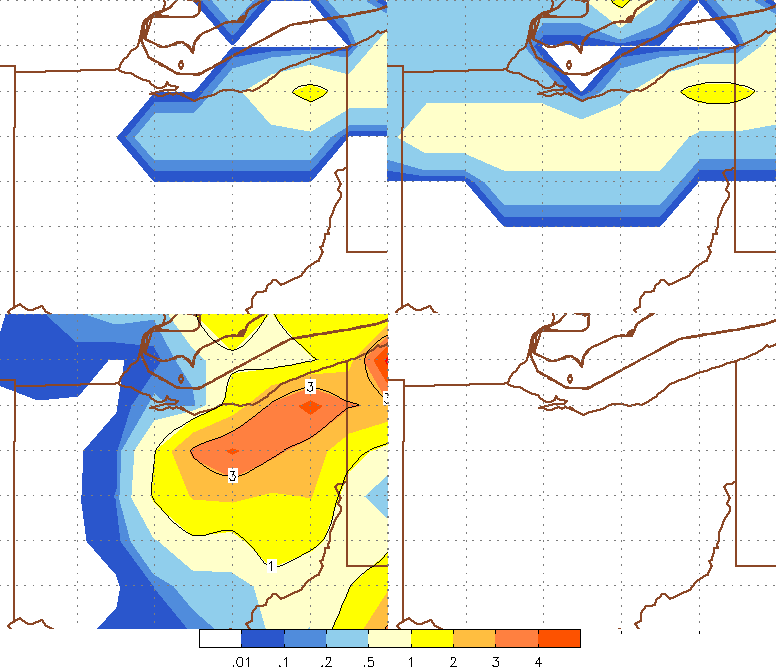 Above is the snow accumulation for four different forecast model runs. There is no consistency, but it does show that a possibility of snow could impact Ohio later this week. I will keep you posted... but one thing all the models agree on... next weekend will be COLD! Have a good one!